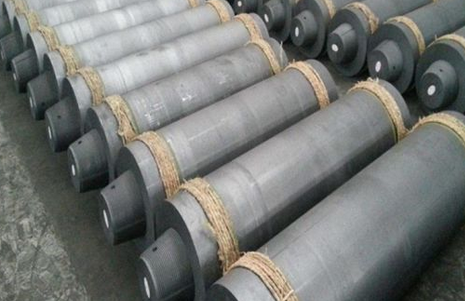 Graphite Electrodes are used in specific applications where a high level of technical requirement is required for these materials; they can be supplied in sheets, plates, bars, etc. Or to be used in fuel cells, electrolysis, cathode protection, among others. - Anodization is used to protect metals from corrosion. - Production of sodium hydroxide, sodium chlorate and potassium chlorate. - Production of hydrogen with multiple uses in the industry: as fuel, in welding, etc. - The electrolysis of a saline solution allows the production of hypochlorite (chlorine): this method is used to achieve ecological chlorination of pool water. - Electrometallurgy is a process to separate pure metal from compounds using electrolysis. For example, sodium hydroxide is separated into pure sodium, pure oxygen and water. - Electroplating, also used to prevent metal corrosion, creates a thin film of a less corrosive metal on another metal. - High performance and high conductivity electrode. - Longer life than most metal electrodes, due to its minimal corrosion degradation. - It has a good behavior against chemical corrosion typical of grounding systems (reduction- oxidation reaction, reduction oxide or redox reaction). - High improvement of the electrical contact properties between the graphite electrode and the ground by graphite powder and conductive salts, making the cracks in the ground around said electrode firm. - This provides very low impedance at very high frequency compared to conventional ground electrodes used at 50 Hz, which makes it extremely appropriate for dissipating lightning currents. High performance graphite electrodes are used for grounding systems. The graphite electrode is indicated for terrains with a high corrosion rate, or in extreme temperature conditions. It can be installed as the only grounding electrode, or for the improvement of ground electrode plugs or plates. To take full advantage of the efficiency of the graphite electrode it is convenient to make a deep well, in that the electrode is at least a meter below the surface (Ø 20 × 1 m).